Despite the release date slipping many times, Sony announced today that Gran Turismo 5 sold 5.5 million copies in just 12 days. We were all worried that it might end up as vaporware. Gran Turismo 5 was originally hinted at in 2005 before the PlayStation 3 was even released. That console launched without a premiere racing title, and Sony kept releasing information that a Gran Turismo game was being developed. Then we got word of a release date for March 2010 in Japan, which was missed. Later, Sony said it would come out on November 2nd, but that date was also wrong. The game eventually made it to stores on November 24th, and the numbers that Sony released today proved that all that hullabaloo didn't hurt sales. As of December 6th, Gran Turismo 5 has sold 5.5 million copies, bringing the total sales of the entire series to more than 61 million worldwide. The ninth installment of the series comes only 12 years after the first game was released in 1998. To put the total nmumbers sold in perspective, the Call of Duty series has sold around that many copies once you add in sales of Black Ops, but all of those sales are spread over all platforms while Gran Turismo has always been a PlayStation exclusive. To sell all of those copies to only Sony PlayStation owners is quite an achievement. 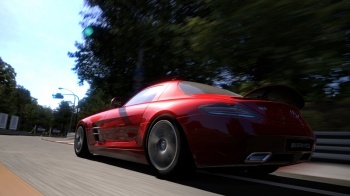 Perhaps the sequel that Polyphony Digital has already said they are working on will drive those sales up even more.